4.3 out of 5 based on 43 bloggers and 2 commenters. 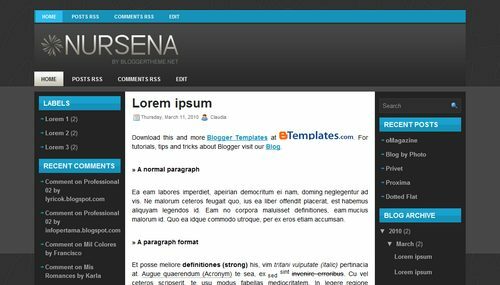 Nursena is a free blogger template adapted from WordPress with 3 columns, left and right sidebars and ads ready. nice template and i’ve downloaded it. but how to adjust it width. Can be used in blogger?